PUNE: City-based Sajag Nagrik Manch has demanded cancellation of a tender to install CCTVs in Pune Municipal Corporation’s new building at Shivajinagar, alleging that the bidder had quoted highly inflated rates which would make a dent of Rs 35 lakh in civic coffers. The group members claimed that the electrical department of PMC has issued tender for surveillance system. PMC plans to install HD camera control, LCD monitor and digital podium system in the new civic administration headquarters. The tender price was supposed to be Rs 74 lakh. The cost of the camera quoted in the tender is around Rs 5.25 lakh. These types of cameras can be bought in the market for around Rs81,899. Even the price of monitoring system is around Rs 7.20lakh, while the tender has quoted Rs12.69 lakh. 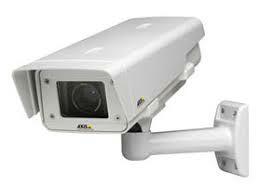 The civic administration wants to by four such cameras and monitoring units, said activists. "The difference between market price and tender bid is alarmingly high. It appears that the deal is shady. The civic administration should make sure that public money is not wasted in this tender," said Vivek Velankar, founder of the group. He said that the group has written a letter to the civic administration, demanding an inquiry into the tendering process to find out whether it was rigged. "Observations made by the citizens' group will be studied. Action will be taken if any irregularity is found," said Shrikrishna Chaudhari, head of PMC's electrical department.